Everything is .925 sterling silver. Everything you see is .925 sterling silver! This Bali style chunky beaded Prayer Box Bracelet has beautiful decorative sterling silver Bali style beads with 6mm round sterling silver beads between each Bali style bead. It is shown with a standard twisted toggle clasp (we have lots of clasps to choose from). The Prayer or Blessing Box is included in the price. Prayer Box Charm: The sterling silver prayer box charm is hinged so that you can put a written prayer inside or whisper a prayer and is included in the price. 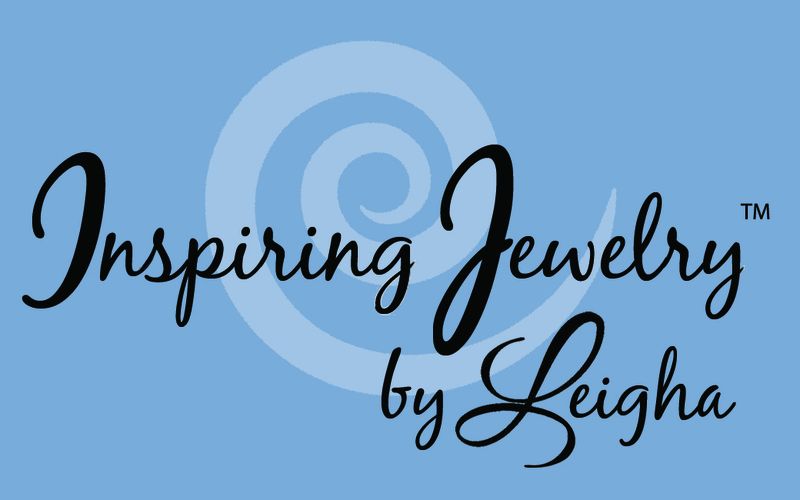 You may add additional charms or a Birthstone Crystal Dangle, we have lots to choose from (see images below). 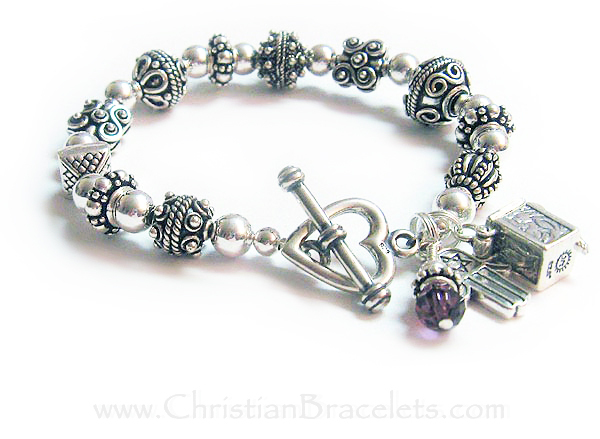 This is a all sterling silver Bali style beaded Prayer Box Bracelet. The square prayer box is hinged so you can open it up and whisper or put a written prayer inside. They upgraded from the free lobster or toggle clasp to a Heart Toggle Clasp. They also added a Black 6mm Square Crystal Dangle. 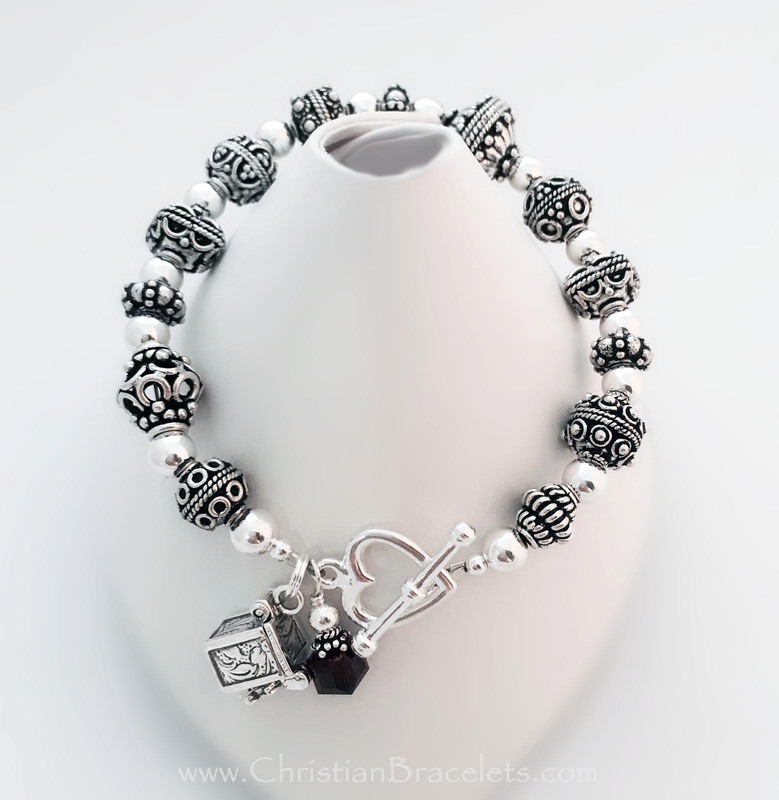 This is a all sterling silver Bali style beaded Prayer Box Bracelet. The square prayer box is hinged so you can open it up and whisper or put a written prayer inside. It is shown with one of my free Twisted Toggle Clasps. 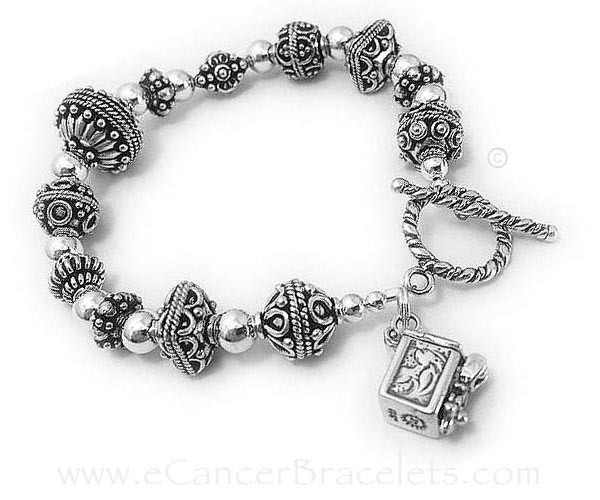 This is a sterling silver Bali style beaded Blessing Box Bracelet. The square prayer box is hinged so you can open it up and whisper or put a written prayer inside. 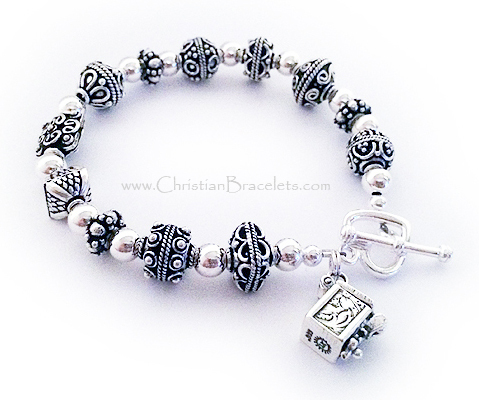 Size: 7"
This sterling silver Bali style beaded prayer box bracelet. The sterling silver square prayer box is hinged so you can open it up and whisper or put a written prayer inside. 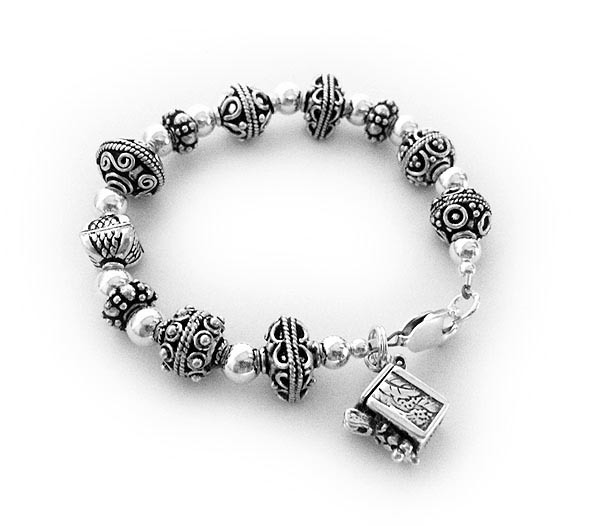 This is a sterling silver Bali style beaded Blessing Box bracelet. The sterling silver square prayer box is hinged so you can open it up and whisper or put a written prayer inside. They added 2 additional charms to their order: A February or Amethyst Birthstone Crystal Dangle and a Hamsa Hand Charm.